Boko Haram is one of the world’s deadliest terrorist groups according to the U.S. Department of Homeland Security. People died as a result of the group’s activities in Nigeria. 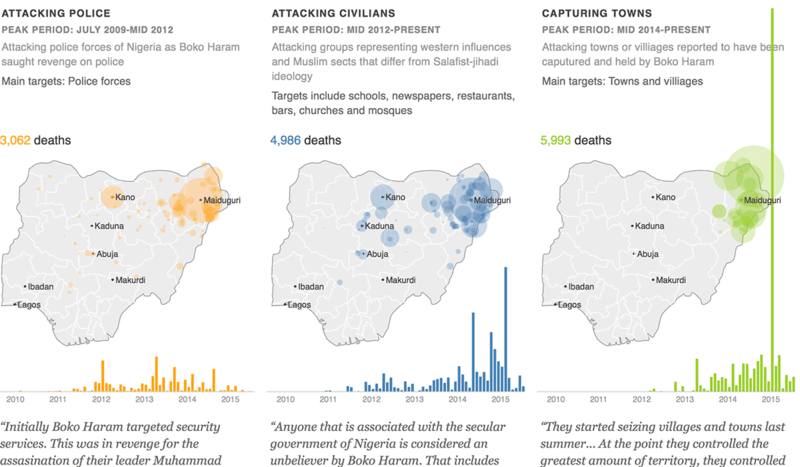 An analysis of attacks reveals three distinct shifts as Boko Haram evolved from a small jihadist group to a deadly terrorist organization. We gathered data, did the analysis, interviewed various experts on the issue and put together the interactive.